For some unexplainable reason Iron Eyes Cody jumped into my consciousness and demanded to be TAH #381 first thing this morning. I put him off till I could get my coffee fix and a few eggs under my belt, but after I did settle down and google him I found out that he was quite a bit more amazing than I’d imagined. I may be the only person around who did not know that this iconic indian is actually not a Native American at all, but a full-blooded Italian brave. That’s right, this memorable symbol of the early years of the environmental movement, the “crying Indian” of the PSA which goaded our consciences to reconsider our wasteful ways and how they effect the natural world, was born of immigrant Sicilian parents. From the Cigar Store Tribe? 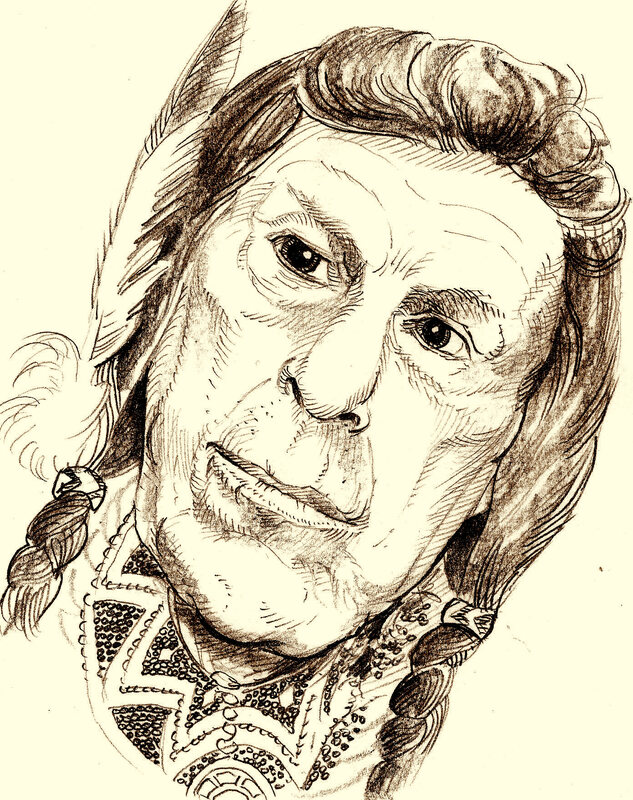 Iron Eyes Cody (April 3, 1904 – January 4, 1999) was an American actor. He was recognized for portraying American Indians in Hollywood films, and he lived as an American Indian as an adult. He and his wife Bertha, who was American Indian, adopted several Indian children. In 1995 Cody was honored by the American Indian community for his portrayals in films. The next year, a newspaper revealed his Sicilian ancestry, which he denied. Cody was born as Espera Oscar de Corti in Kaplan, Louisiana, a second son of Antonio de Corti and his wife, Francesca Salpietra, immigrants from Sicily, Italy. He had two brothers and a sister. His parents had a local grocery store in Gueydan, Louisiana, where he was raised. In some of his earliest acting credits, he was listed as Tony de Corti. His father left the family and moved to Texas, where he took the name Tony Corti. His mother married Alton Abshire and had five more children with him. When the three De Corti brothers were teenagers, they joined their father in Texas and also took the shortened last name of Corti. They moved on to California, where they started acting in movies, and each took the surname Cody. Joseph William and Frank Henry Cody worked some as extras, but moved on to other work. Tony Cody made a career as a film actor. He appeared in more than 200 films, including The Big Trail (1930), with John Wayne; The Scarlet Letter (1934), with Colleen Moore; Sitting Bull (1954), as Crazy Horse; The Light in the Forest (1958) as Cuyloga; Nevada Smith (1966), with Steve McQueen; A Man Called Horse (1970), with Richard Harris; and Ernest Goes to Camp (1987), as Chief St. Cloud. In 1953, he appeared twice as Chief Big Cloud in Duncan Renaldo‘s television series, The Cisco Kid. He later guest starred on John Payne‘s NBC western series, The Restless Gun. The Joni Mitchell song “Lakota,” from the 1988 album, Chalk Mark in a Rainstorm, features Cody’s chanting. He made a cameo appearance in the 1990 film Spirit of ’76. In an episode of the TV series, The Sopranos, titled “Christopher” (2002), Ralph Cifaretto (Joseph Pantoliano) threatens to expose Cody’s Sicilian ancestry as leverage against anti-Columbus protests by an Indian group. He is told that “it’s like knowing that James Caan isn’t Italian” (referring to his role as an Italian American in The Godfather film). Smedley Darlington Butler was born in Pennsylvania on 30th July, 1881. His father, Thomas Stalker Butler, was a lawyer and politician and in 1897 was elected to the House of Representatives. Butler was educated at the Haverford School, a private secondary school for the sons of wealthy Quaker families in Philadelphia. Although brought up as a pacifist he runaway from school at sixteen to join the army. Butler lied about his age and secured a second lieutenant’s commission in the US Marines. After six weeks of basic training Butler was sent to Guantanamo, Cuba, in July 1898. He saw action against the Spanish before being sent to China during the Boxer Rebellion. At the Battle of Tientsin on 13th July, 1900, Butler was shot in the thigh when he climbed out of a trench to retrieve a wounded officer. In recognition of his bravery Butler was promoted to the rank of captain. Butler was badly wounded for a second time when he was shot in the chest at San Tan Pating. In 1903, Butler was sent to Honduras where he protected the U.S. Consulate from rebels. In 1914 Butler won the Medal of Honor for outstanding gallantry in action while fighting against the Spanish at Veracruz, Mexico. Major Butler returned his medal arguing that he had not done enough to deserve it. It was sent back to Butler with orders that not only would he keep it, but that he would wear it as well. Butler won his second Medal of Honor in Haiti on 17th November, 1915. Promoted to the rank of brigadier general at the age of 37 he was placed in command of Camp Pontanezen at Brest, France, during the First World War. This resulted in him being awarded the Distinguished Service Medal and the French Order of the Black Star. Following the war, Butler transformed the wartime training camp at Quantico, Virginia into a permanent Marine post. In 1923 the newly elected mayor of Philadelphia, W. Freeland Kendrick, asked Butler to leave the Marines to become Director of Public Safety. Butler refused but eventually accepted the appointment in January 1924 when President Calvin Coolidge requested him to carry out the task. Butler returned to the US Marines and in 1927 was appointed the commander of the Marine Expeditionary Force in China. Over the next two years he did what he could to protect American people living in the country. 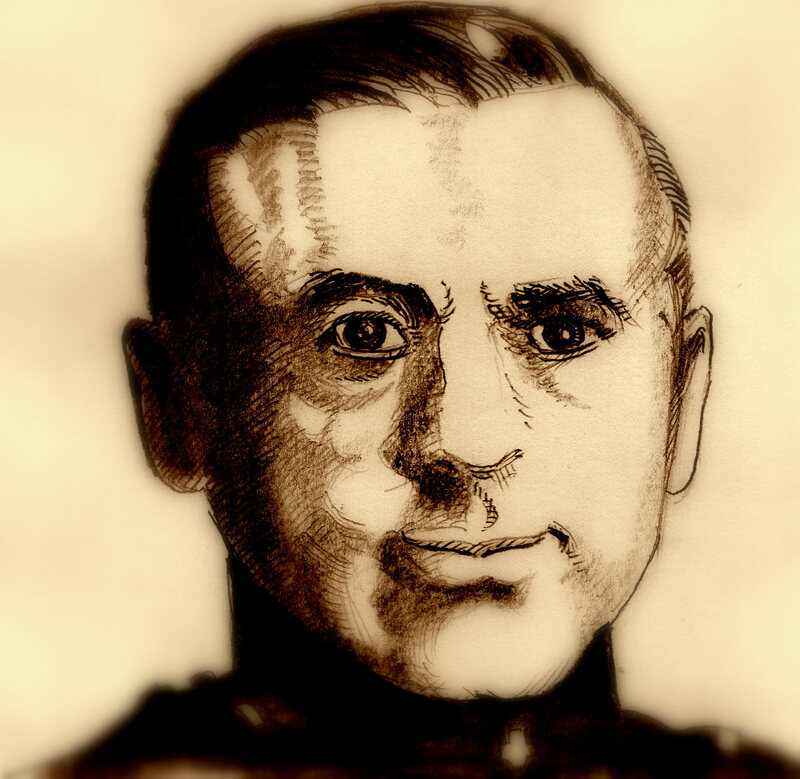 At the age of 48, Butler became the Marine Corps’ youngest major general. Butler became the leading figure in the struggle to preserve the Marine Corps’ existence against critics in Congress who argued that the US Army could do the work of the Marines. Butler became a nationally known figure in the United States by taking thousands of his men on long field marches to Gettysburg and other Civil War battle sites, where they conducted large-scale re-enactments before large crowds of spectators. In 1931, Butler said in an interview that Benito Mussolini had allegedly struck a child with his automobile in a hit-and-run accident. Mussolini protested and President Herbert Hoover instructed the Secretary of the Navy to court-martial Butler. Butler became the first general officer to be placed under arrest since the Civil War. Butler was eventually released without charge. Major General Wendell C. Neville died in July 1930. Butler was expected to succeed him as Commandant of the Marine Corps. However, he had upset too many powerful people in the past and the post went to Major General Ben Hebard Fuller instead. Butler retired from active duty on 1st October, 1931. In 1932, Butler ran for the U.S. Senate in the Republican primary in Pennsylvania, allied with Gifford Pinchot, the brother of Amos Pinchot, but was defeated by James J. Davis. Butler went to Senator John McCormack and told him that there was a fascist plot to overthrow President Franklin Roosevelt. Butler claimed that on 1st July 1934, Gerald C. MacGuire a Wall Street bond salesman and Bill Doyle, the department commander of the American Legion in Massachusetts, tried to recruit him to lead a coup against Roosevelt. Butler claimed that the conspirators promised him $30 million in financial backing and the support of most of the media. Butler pretended to go along with the plot and met other members of the conspiracy. In November 1934 Butler began testifying in secret to the Special Committee on Un-American Activities Authorized to Investigate Nazi Propaganda and Certain Other Propaganda Activities (the McCormack-Dickstein Committee). Butler claimed that the American Liberty League was the main organization behind the plot. He added the main backers were the Du Pont family, as well as leaders of U.S. Steel, General Motors, Standard Oil, Chase National Bank, and Goodyear Tire and Rubber Company. Butler also named Prescott Bush as one of the conspirators. At the time Bush was along with W. Averell Harriman, E. Roland Harriman and George Herbert Walker, managing partners in Brown Brothers Harriman. Bush was also director of the Harriman Fifteen Corporation. This in turn controlled the Consolidated Silesian Steel Corporation, that owned one-third of a complex of steel-making, coal-mining and zinc-mining activities in Germany and Poland. Friedrich Flick owned the other two-thirds of the operation. Flick was a leading financial supporter of the Nazi Party and in the 1930s donated over seven million marks to the party. A close friend of Heinrich Himmler, Flick also gave the Schutz Staffeinel (SS) 10,000 marks a year. John L. Spivak, who had been mistakenly given access to the unexpurgated testimony of the people interviewed by the McCormack-Dickstein Committee. He published an article in the New Masses entitled Wall Street’s Fascist Conspiracy on 5th February 1935. This included the claim that “Jewish financiers” had been working with “fascist groups” in an attempt to overthrow President Franklin Roosevelt. The article was dismissed as communist propaganda. Smedley Butler continued to campaign against the Military Industrial Complex until his death on 21st June 1940. After reading this I think I might know why I never read about him in school. Who is James E. West? Not the Scoutmaster General. Not the hero of “Wild Wild West”. But if you’ve ever used a microphone, a camcorder, tape player, or a telephone, you’ve got this gentleman to thank. And if you are African American and working in the field of audio electronics, you may tip your hat to him for paving the way for you in this competitive field. 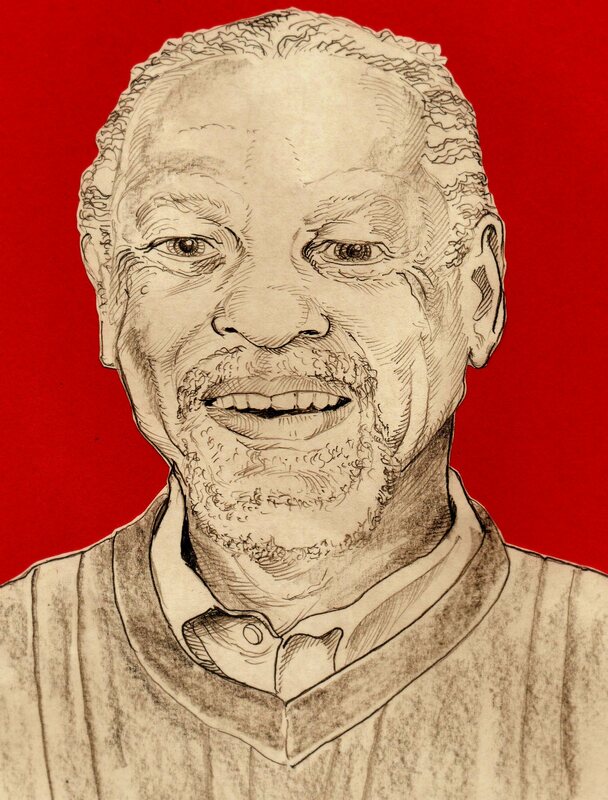 James Edward Maceo West (born February 10, 1931 in Prince Edward County, Virginia) is an American inventor and acoustician. Along with Gerhard Sessler, West developed the foil electret microphone in 1962. Nearly 90 percent of the more than two billion microphones produced annually are based on the principles of the foil-electret and are used in everyday items such as telephones, camcorders, and audio recording devices among others. West received a BS in Physics from Temple University in 1957. He holds over 250 foreign and U.S. patents for the production and design of microphones and techniques for creating polymer foil electrets. In 2001, West retired from Lucent Technologies after a distinguished 40-year career at Bell Laboratories where he received the organization’s highest honor, being named a Bell Laboratories Fellow. West then joined the faculty of the Whiting School at Johns Hopkins University where he is currently a research professor in the Department of Electrical and Computer Engineering. In addition to his many contributions to acoustical science, throughout his career West has been a fervent advocate for greater diversity in the fields of science and technology. While at Bell Laboratories, West co-founded the Association of Black Laboratory Employees (ABLE), an organization formed to “address placement and promotional concerns of Black Bell Laboratories employees.” He was also instrumental in the creation and development of both the Corporate Research Fellowship Program (CRFP) for graduate students pursuing terminal degrees in the sciences, as well as the Summer Research Program for undergraduate students. Through the graduate fellowship that he helped to establish, more than 500 PhD’s have been awarded to women and minorities in the scientific disciplines. West routinely gives lectures and presentations about the need for diversity and broadened opportunities for women and underrepresented minorities in the fields of science and technology. 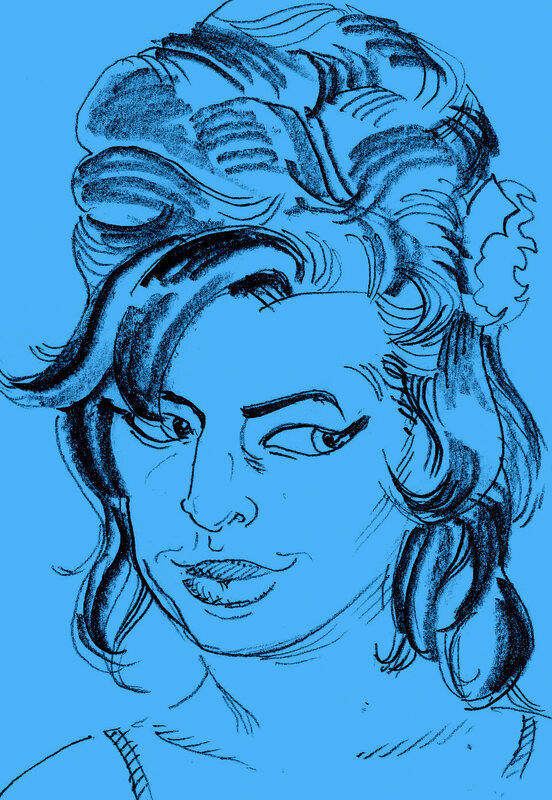 A couple of days after Ms. Winehouse’s demise my daughter posted an article that she found which reflected her own views on addiction, pop stardom, talent, and the legacy of female artists who perish from addictive excesses compared to their male counterparts. This after reading some cruel, insensitive comments about Ms. Winehouse’s “habits”. I think the article has some valid points about the way we react to the phenomena of tragic death syndrome which has affected so many of our musical hero(ines), so I hope the author doesn’t object if I provide a link, so that you may read and judge for yourself. From his darker meaner years a few decades back (Short People, Political Science, Rednecks, Louisiana) to his kinder gentler, award winning “Toy Story” scores, he’s always been a personal favorite. You’ve got a fan in me. 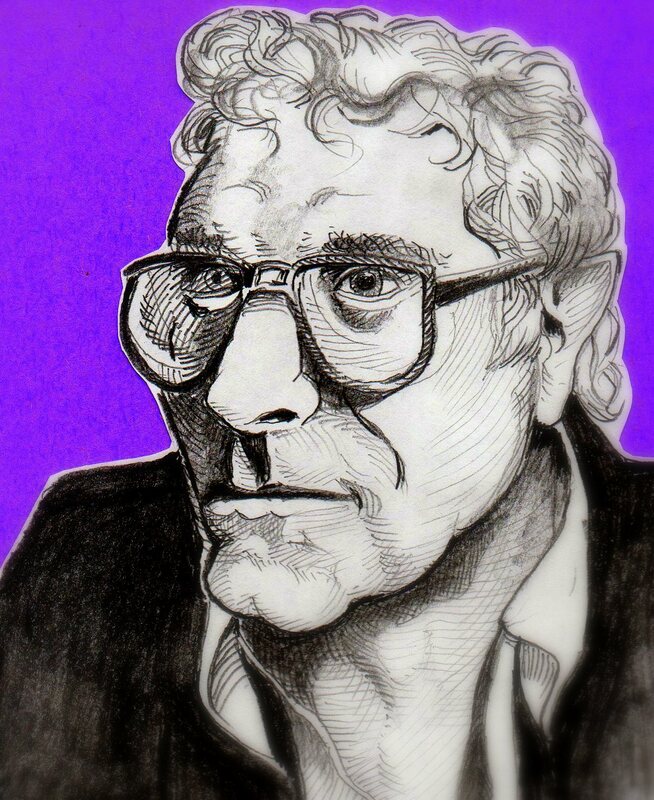 Randall Stuart “Randy” Newman (born November 28, 1943) is an American singer-songwriter, arranger, composer, and pianist who is known for his mordant (and often satirical) pop songs and for film scores. Newman often writes lyrics from the perspective of a character far removed from Newman’s own experiences, sometimes using the point of view of an unreliable narrator. For example, the 1972 song “Sail Away” is written as a slave trader’s sales pitch to attract slaves, while the narrator of “Political Science” is a U.S. nationalist who complains of worldwide ingratitude toward America and proposes a brutally ironic final solution. One of his biggest hits, “Short People” was written from the perspective of “a lunatic” who hates short people. Since the 1980s, Newman has worked mostly as a film composer. His film scores include Ragtime, Awakenings, The Natural, Leatherheads, James and the Giant Peach, Meet the Parents, Seabiscuit and The Princess and the Frog. He has scored six Disney–Pixar films: Toy Story, A Bug’s Life, Toy Story 2, Monsters, Inc., Cars and most recently Toy Story 3. Newman has been nominated for twenty Academy Awards, winning twice. He has also won three Emmys, five Grammy Awards, and the Governor’s Award from the Recording Academy. Newman was inducted into the Songwriters Hall of Fame in 2002. In 2007, Newman was inducted as a Disney Legend. Actually I’m not so much concerned today with Beatrix Potter as I am with badgers. She just happens to be one of the many authors who have featured badgers as main characters in their works of imaginative fiction. I wanted to find some way to post an Amazing Human and relate some exciting news I saw on facebook concerning those vicious, short-legged mammals so beloved by Potter, C.S. Lewis, Roald Dahl and Kenneth Grahame. Right here in Forestville!! A huge one. I had never seen one before and wasn’t even sure what it was. It was close to midnight and one of our house guests was putting something in his car and heard a very strange noise coming from under my …car. Further investigation with a flashlight determined that it was, in fact, a badger. They are very vicious and once they latch on to you it’s pretty near impossible to pry them loose. What to do? We didn’t know so we called animal control which, of course, was closed. So we called 911 who connected us to the on call animal control guy. He didn’t want to come because he thought it was probably a raccoon. We assured him it was not. While we were waiting we were treated to a series of grunts and growls the likes of which we had never heard. The animal control guy arrived with his shotgun. They had no way of sedating him/her and relocating him. Where would he relocate him to anyway? There is no badger habitat around here. Animal control had never seen one here, as they are extremely rare in these parts. It took three shots to kill him. So sad as he was a beautiful creature. Our Native American friend who was staying with us would have liked to take the pelt, but we thought the animal control guy wouldn’t have handled that well. He had a hard enough time handling the native chants that were being sung by our friend during the process. But now all our kitties and neighborhood dogs are safe. And our chicken coop remains intact. This is exciting because badgers are rare in this neck of the woods. But now for Beatrix Potter. She features a badger named Tommy Brock in her “The Tale Of Mr. Tod”. Wikipedia:Helen Beatrix Potter (28 July 1866 – 22 December 1943) was an English author, illustrator, natural scientist and conservationist best known for children’s books featuring anthropomorphic characters such as in The Tale of Peter Rabbit which celebrated the British landscape and country life. Born into a privileged Unitarian family, Potter, along with her younger brother, Walter Bertram (1871–1918), grew up with few friends outside her large extended family. Her parents were artistic and interested in nature and the out of doors. As children, Beatrix and Bertam had numerous small animals as pets which they observed closely and drew endlessly. Summer holidays were spent in Scotland and in the English Lake District where Beatrix developed a love of the natural world which was the subject of her painting from an early age. She was educated by private governesses until she was eighteen. Her study of languages, literature, science and history was broad and she was an eager student. Her artistic talents were recognized early. Although she was provided with private art lessons, Beatrix preferred to develop her own style, particularly favoring watercolor. Along with her drawings of her animals, real and imagined, Potter illustrated insects, fossils, archeological artifacts, and fungi. 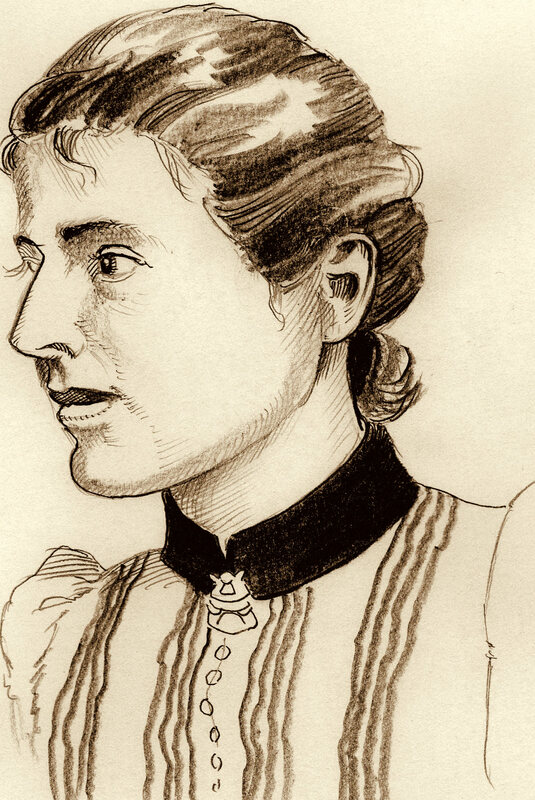 In the 1890s she achieved a measure of respect from the scientific establishment for her mycological illustrations and for her research on the reproduction of fungi spores. Having had some success illustrating cards and booklets, Potter wrote and illustrated The Tale of Peter Rabbit publishing it first privately in 1901, and a year later as a small, three-color illustrated book with Frederick Warne & Co. She became unofficially engaged to her editor Norman Warne in 1905 despite the disapproval of her parents, but he died suddenly a month later. With the proceeds from the books and a small legacy from an aunt, Potter bought Hill Top Farm in Near Sawrey, a tiny village in the English Lake District near Ambleside in 1905. Over the next several decades, she purchased additional farms to preserve the unique hill country landscape. In 1913, at the age of 47, she married William Heelis, a respected local solicitor from Hawkshead. Potter was also a prize-winning breeder of Herdwick sheep and a prosperous farmer keenly interested in land preservation. She continued to write, illustrate and design spin-off merchandize based on her children’s books for Warne until the duties of land management and diminishing eyesight made it difficult to continue. In all, Beatrix Potter published over twenty-three books; the best are those written between 1902 and 1922. Potter died on 22 December 1943 at her home in Near Sawrey at age 77, leaving almost all her property to the National Trust. She is credited with preserving much of the land that now comprises the Lake District National Park. In honor of my most recent subscribing person from Brazil, I offer arguably the best soccer player of all time, Pele. Wikipedia:Edison “Edson” Arantes do Nascimento (born 21 or 23 October 1940), best known by his nickname Pelé, is a retired Brazilian footballer. He is widely regarded as one of the greatest players of all time. In 1999, he was voted as the Football Player of the Century by the IFFHS International Federation of Football History and Statistics. In the same year French weekly magazine France-Football consulted their former “Ballon D’Or” winners to elect the Football Player of the Century. Pelé came in first position. In 1999 the International Olympic Committee named Pelé the “Athlete of the Century”. In his career he scored 760 official goals, 541 in league championships, making him the top scorer of all time. In total Pelé scored 1281 goals in 1363 games. In his native Brazil, Pelé is hailed as a national hero. He is known for his accomplishments and contributions to the game of football. He is also acknowledged for his vocal support of policies to improve the social conditions of the poor (when he scored his 1,000th goal he dedicated it to the poor children of Brazil). During his career, he became known as “The King of Football” (O Rei do Futebol), “The King Pelé” (O Rei Pelé) or simply “The King” (O Rei). Spotted by football star Waldemar de Brito, Pelé began playing for Santos at 15 and his national team at 16, and won his first World Cup at 17. 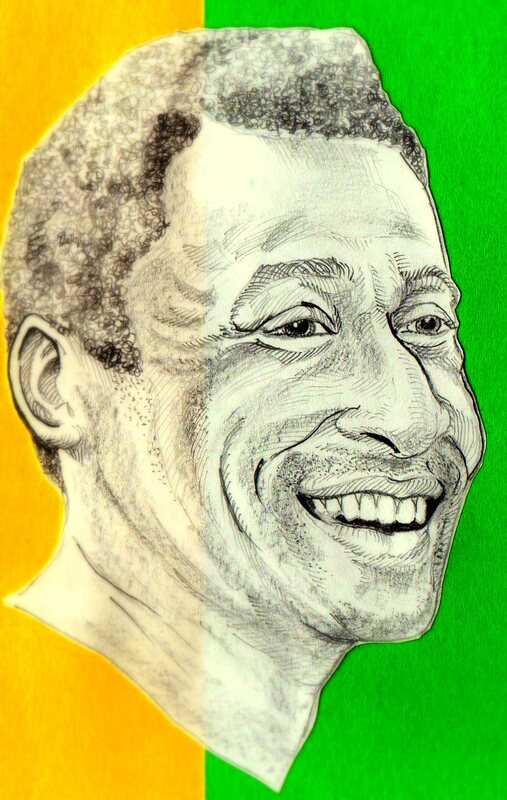 Despite numerous offers from European clubs, the economic conditions and Brazilian football regulations at the time benefited Santos, thus enabling them to keep Pelé for almost two decades until 1974. With Pelé within their ranks, Santos reach their zenith by winning the 1962 and 1963 Copa Libertadores, the most prestigious club competition in South American football. Pelé played as an inside second forward, also known as a playmaker. Pelé’s technique and natural athleticism have been universally praised and during his playing years he was renowned for his excellent dribbling and passing, his pace, powerful shot, exceptional heading ability, and prolific goalscoring. He is the all-time leading scorer of the Brazil national football team and is the only footballer to be a part of three World Cup-winning squads. In 1962 he was on the Brazilian squad at the start of the World Cup but because of an injury suffered in the second match, he was not able to play the remainder of the tournament. In November 2007 FIFA announced that he would be awarded the 1962 medal retroactively, making him the only player in the world to have three World Cup winning medals.